Iron, Aluminum & Stainless Steel Works that Are Second to None! 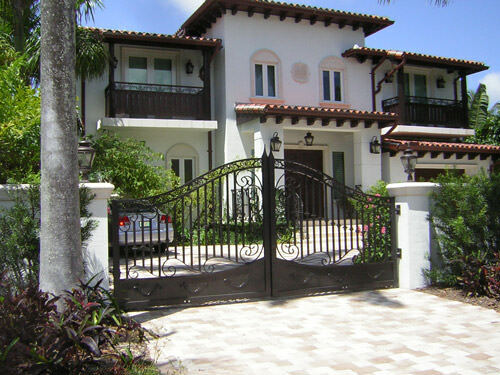 There are many companies out there that work iron and aluminum, but none like Westside Iron, whose prestige and good name are highly recognized in South Florida. 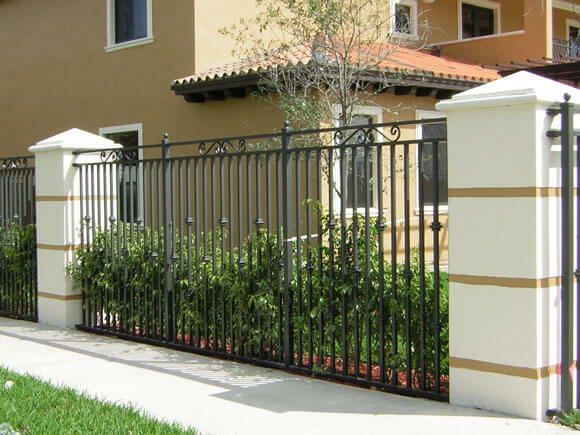 Over the last 30 years, we have delivered wrought iron, aluminum, and stainless steel products of outstanding quality, and craftsmanship to satisfied customers throughout Florida, the Caribbean, and our neighboring southern states. We believe you, too, will be pleased with Westside Iron. Give us a call, 786.261.8741. Let’s talk about how we can help make your property even better! Fences are the core of our work. We have manufactured countless of aluminum and galvanized fences that have left our customers enormously pleased. We are confident you will be so also. The ornamental balcony railings speak for themselves. Just sit back, relax and just enjoy the blissful South Florida weather, amidst a gorgeous surrounding. Our beautiful ornamental stair railings are sure to take your breath away. Our carefully crafted pieces endow elegance and style to even the most characterless staircase. Besides manufacturing customized stair hand railings, for both indoors and outdoors, we also produce iron, aluminum or galvanized deck railings, porch railings or patio railings which bring comfort and liveliness to your new favorite home spot. Sturdy yet decorative, our window security bars add the extra protection to your home you want. It is impossible to break in from the outside, yet their exit handles, strategically placed inside, allow an easy escape in case of an emergency. Air conditioner cages, pool pumps cages, access to roof staircases, security cages. Ideal for private community complexes and multi-story buildings, our dumpster enclosures and containers allow trash and dumpster areas to inconspicuously blend in with scenic surroundings. Our garbage containers are ideal for malls and shopping centers. Dura fence, or durafence, is another great alternative to fencing, offering tidyness and privacy at the same time. This is another of our specialties! Our chainlink fences are enduring and economical. If you need any customized iron, aluminum, galvanized or stainless steel work, let us know. We are confident we can fulfill it for you. A few examples of other items we produce: gutter protectors, pedestrian gates, pool rails, roof access stairs, and more! Our ornamental fences, gates, balcony railings and window security bars, enhance the appearance of your home, they also provide both, security and increased value to your property. Our beautiful stair railings add just the right touch for an stunning entrance hall once inside your home. All railings are powder coating painted, the ultimate technique for painting metals that produces outstanding effects in both, looks and durability. High Quality Craftsmanship that Speaks for Itself! Our mission is to deliver the utmost satisfaction to our clients when providing our iron, aluminum and stainless steel products. We use only superior quality materials, and hire only skilled and experienced workers. We pride ourselves of the care and thoughtfulness with which we follow each of clients’ designs or specifications. These policies have been essential in helping us secure and maintain the leadership in the iron works industry. West Side Iron furnished us with a nice looking fence and window bars for our home. Maria & Curtis were quite professional and courteous attending all of our requests throughout the entire process. Their working crew was skilled and knowledgeable. I would highly recommend West Side Iron for any fencing, railing or other iron or aluminum works. We were very pleased with the results. Thank you Maria & Curtis! From beginning to end, the service received by Maria & husband was amazing and I couldn’t be happier with the finished product!. Excellent quality, smooth installation & professional customer service. I will recommend your company and for sure I will used again! Thank you “Westside” for adding the perfect finishing touches to my house!!! !